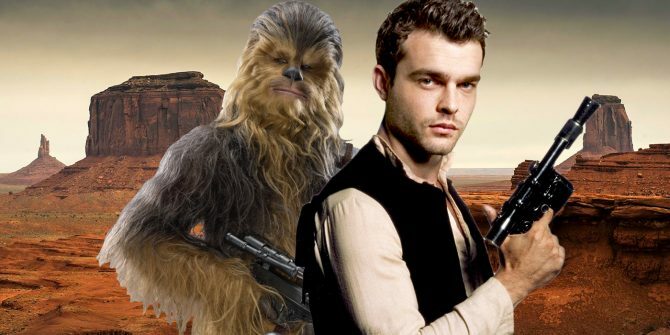 It’s been a bumpy week for Disney’s Han Solo spinoff. What started with the departure – a shocking departure, might we add – of directors Phil Lord and Christopher Miller quickly evolved into a whirlwind of rumors and concerning reports, bringing us stories of creative differences, acting coaches being hired, filmmakers deviating from the script and much more. It all painted a very worrying picture for the project and so far, that hasn’t changed. Yes, Ron Howard has now been brought in to get things back on track, but there’s still a sense of skepticism surrounding Han Solo, and until we get some footage, things will likely stay that way. From what we’ve heard, a lot of the stuff that Lord and Miller shot is actually unusable, so the director’s got his work cut out for him if he hopes to guide the film to the finish line. One thing that’ll remain unchanged, however, is the presence of an iconic Star Wars character. 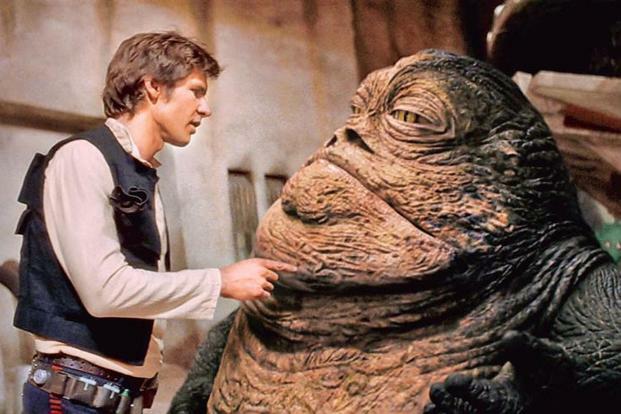 According to The Hashtag Show, Jabba the Hutt plays an important role in the Han Solo Anthology movie and even despite the departure of Lord and Miller, he’ll apparently remain in the film, as he’s said to be crucial to the plot. From what we understand, the villain will be portrayed using both CGI and animatronics, though it’s currently unknown how exactly he’ll factor into things. That being said, his inclusion in the spinoff makes perfect sense, given his history with Han. In fact, come to think about it, it’d be more surprising if he wasn’t in the movie. Of course, with the production still going through a very rough patch, it’s unlikely we’ll hear anything official on the character and his involvement anytime soon, but there’s really no reason to doubt That Hashtag Show’s report. Even after the appointment of Ron Howard, Disney’s Han Solo origin movie remains on track for a release on May 25th, 2018. It’ll follow in the footsteps of Star Wars: The Last Jedi, which has been penciled in for release on December 15th of this year, and with a new director now on board, we’ll hopefully start to learn a little more about the project in the not too distant future.